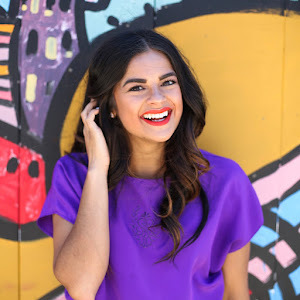 Orange You Glad I'm Not Making An Orange Joke | Priya the Blog | life & style in Nashville & beyond! "While you're reading this, there's no telling what state I am actually in. I am most likely wearing a giant 49er's t-shirt (this is our year) because that's all that will fit after a weekend of eating my life away around town, celebrating Carina's birthday, and generally partying with family for days in a row." That is as far as I got in writing this post, haaaaa. And now it's like giant t-shirt? Check. Starvation diet? Check. Too much birthday? Check! But oh yeah, I wore this outfit a couple weeks ago...fashion blogging is so weird. Anyway, while I'm busy sorting through 500 selfies from the weekend, eating salad, and taking long, rehabilitating naps, here's an outfit post! 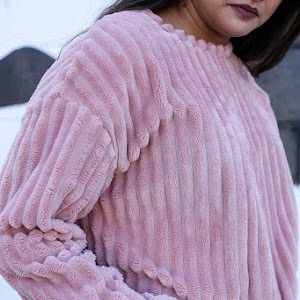 I learned a lot from my styling session with Shell B (I haven't formally blogged any outfits we put together, but you can peep some of the looks here.) She mentioned she really didn't like orange and black together because it seemed Halloween-y or prison-y. While I obvi broke that rule, she also encouraged me to wear open button-ups over dresses or shirts. That was originally how this outfit came to be, but then I decided with the proportions of the shirt, it looked better tied at the waist. So, I realize neither of these anecdotes really have to do with me learning lessons from Shell B. But they helped with the thought process behind this outfit, at least. I bought this dress because Danielle has it and it looked perfect and like you can ever have too many casual black knit dresses. And this top is another fabulous J.Crew hand-me-down from Shelby via her co-worker. My philosophy for hand-me-downs is seriously: the random-er, the better. Thanks Shel! Anything tied over a dress is generally money in the bank. Keep that in mind. I hope everyone, bloggy friends and IRL friends and those few special people that cross over both, are feeling excellent today and enjoying these days of Summer that feel floaty and hazy. And almost like we should be going back to school...but not for me anymore! I'll be back this week with a belated birthday post for my dear Carina, and many photos from our #pappumastakeNashville weekend, most of which feature me making a horrendous face. Count on it. This is a really cute outfit and I like the idea of wearing a sleeveless blouse over a dress! So fun! I'm glad you had an event-filled weekend! I don't experiment with layering over dresses as I should, especially since my shoulders must be covered for work. Your top almost acts as a vest here. Very clever! This outfit is so cute. I'm so into orange right now for some reason lol live the top and sandals together! What a fun outfit! I always have problems with orange because I think it does not look good with my color of hair and skin... but it looks so good on you! Like the addition of top on the dress!!! Wow, I really love this outfit! The fact that you layered over a dress with sleeves is so unexpected, but it looks so good! Love the way you style such a simple dress! Hi! 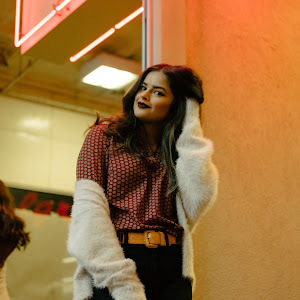 I'm Priya & this is my blog. Start here! 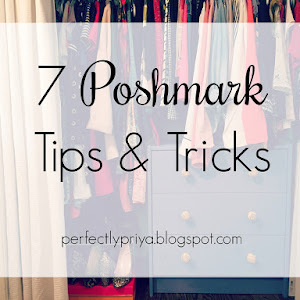 Get Priya the Blog In Your Inbox! 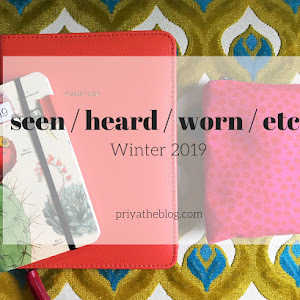 Priya the Blog uses affiliate links, which means I may earn a few cents, if you click in the right place :) any other sponsorships will be noted. Thank you for your support!